Persona provides a vivid way for designers and product managers to understand user and user needs pretty well. Also, it serves as an efficient communication media among team members. Nowadays, it’s widely used in the software industry, UI/UX design, and more other areas. I’m going to introduce you some basic persona knowledge and list 18 free excellent user persona templates in this article. 1. What is User Persona? It’s a comprehensive image of your real user, a typical representation of your ideal customer. It is generally based on user research and incorporates the needs, goals, and observed behavior patterns of your target audience. Also, it can play a role in many situations, including specify product strategy, design interaction, usability design, target users, discuss product demand, etc. 2. Why do we need it? Adapting user-centric design philosophy, your design and final result will meet users’ need perfectly. A good persona sets a common goal for all members involved in. It can set a right and clear direction, making all effort reach to the expected destination. 3. 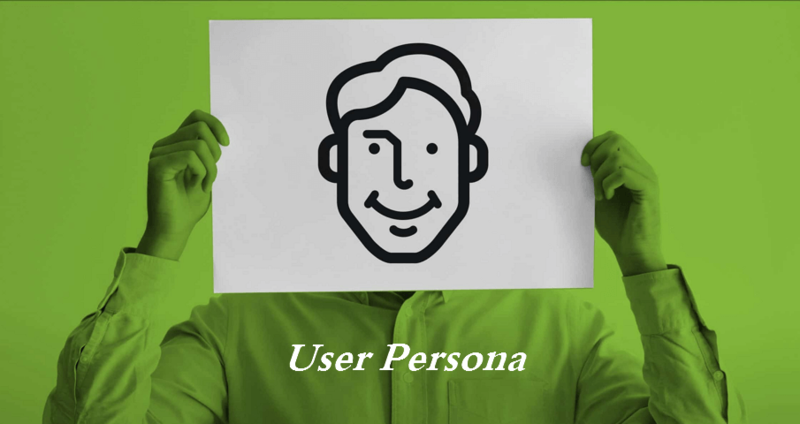 Where can you get excellent free user persona template? Though you can follow Step-by-Step Guidelines to create your persona, most cases are that it still failed to satisfy all members of your team. Fortunately, there are plenty sources on the internet accessible to you. McorpCX Persona provides a way to better understand the customers you serve. It has 15-year industry-leading customer experience practices based on personas. There are a lot of examples out there of how to put together personas. Fake Crow is an excellent user persona example to generate personas for user experience design process, branding, and marketing strategies. Marketergizmo covers all of the 7 most common Persona topics like Customer media & device preference and Biography and Customer Pain. Market8 is a special user persona template comes with a blog post where the impact of Buyer Personas on Web Design are described. Hubspot covers all of the Persona topics but ‘Customer media & device preference and Biography’. It introduces the concept of what is Negative Personas. It covers all of the Persona topics except for ‘Customer Pain’. Akoonu provides good motivation to start a company and help marketers understand their buyers better. Moreover, it helps sales figure out if a buyer is going to buy. Kula partners covers all of the Persona topics but the ‘Customer Image’. There are lots of template out there for content gap analysis, many of which take into account personas and each stage of their buying cycle. This user persona template helps you start prioritizing design decisions and get to the wins sooner. It allows you to set up a simple persona in no time at all, and it includes options for easy sharing across your entire company. It contains various types of customers and companies that match with your business targets, and this persona tool will help create a picture of the most important customer types. The 5 Rings of Buying Insight are the most actionable part of the buyer persona. It clearly tells the behavior and demand of your buyers. Fluid was created to organize information in the Fluid Personas. It’s a free user persona template is easy to understand and gives you a compact, two-page snapshot of what a typical customer might look like. It provides you all persona topics except the ‘Customer Demographics and Image’. It especially works for those master Business Model Generation canvas. They are not the same thing, just have common features. Customer segmentation is more applied in market research. And it generally based on demographic statistics like gender, age, occupation, and income as well as consumer psychology. It strives to analyze the behavior when customer buying a product. While persona focuses more on the goal, behavior, and viewpoint of a customer. A real customer doesn't exist actually. We can not describe precisely what a user like or dislike. Too many elements can result in different user preferences. What we need to figure out is the preference of a group of users. What we focus on is typical customers rather than average users. To create user persona is not to reach a precious number that stands for the ratio of customer. We do research of users’ need and behavior mode to recognize our users. Hope the above user persona template can help you to achieve good user experience. And if you like any of them, let me know.